Moradabad Group Housing Scheme, Ph.II has been completed and many allottees have taken over the possession. Completion Certificate for the project has since been received. Now IRWO is in a position to execute the Conveyance (Registration) Deed in respect of this project. 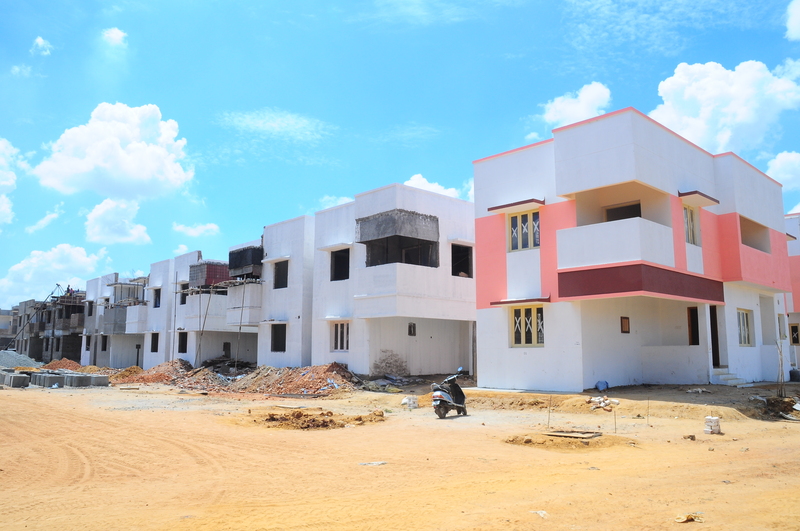 Allottees of the scheme may therefore execute Conveyance Deed of this project. For execution of Conveyance Deed, allottees may apply in the prescribed form (Annexure H-3) as provided in IRWO General Rules along with processing fee of Rs.1180/- (Including GST). The processing fee may be paid through Demand Draft payable in favour of Indian Railway Welfare Orgnisation , New Delhi. The processing fee can also be paid in cash in IRWO Corporate Office, New Delhi. As per IRWO�s rules registration can be done in the joint name of the Member and his/her spouse and the co-owner, if any. In case the spouse is not alive the registration can be done in favour of Member only or the Member and the Co-owner, if the member so desires. In case the spouse is not the co-owner, the allottee may first apply for making his/her spouse as co-owner (for that he or she may apply in Annexure D of IRWO General Rules for grant of co-ownership status to the spouse). In case allottee want to seek exemption from inclusion of the name of the spouse in the Registration document , he or she may apply along with Affidavit for the same. Notice: It Is Noticed That As On This Day 18.06.2018 �100 Nos Flats� Have Been Registered Inspite Of Many Reminders. The Allottees Are Taking Very Lightly. Recentgly We Have Received Notice From The Sub Registrar � General Of Registration Attaching Copy Of Orders Dated 16.03.2018 By Chief Secretary Of Govt. Of Uttar Pradesh, Stating That As Per Registration Act Of Immovable Properties Of 1908 And The Registration Of The Properties Is Essential Before Occupying The Flats Otherwise It Is Punishable And The Government Take Action By Applying Heavy Penalty On The Allottees As Is Being Done By Noida Uthority. Copy Of The Notice From The Uttar Pradesh Government Is Attached For Information Of The Allottees Who Have Not Got Done The Registration Of Their Flats. If The Owner Of The Flat Is Not Residing In The Flat, The Tenants Are Requested To Intimate The Owner Of The Flat About This Notice. All The Allottees Who Have Not Got Their Flats Registeree Are Requested To Get Their Flats Registered Immediately. Irwo Shall Not Be Responsible For Any Action Taken By The Uttar Pradesh Government. (i).Circular By Registrar office , UP Govt. All the allottees of Greater Noida Housing Scheme of IRWO are hereby informed that Greater Noida Authority has accorded approval for execution of Conveyance Deed in respect of Greater Noida Housing Scheme of IRWO. Allottees are requested to approach IRWO Corporate Office, Railway Offices Complex, Shivaji Bridge Behind Shankar Market, New Delhi along with application in Annexure H-3 of IRWO General Rules and processing fee of Rs.1180/- (Including GST) payable through Demand Draft in favour of IRWO, New Delhi. The processing fee can also be paid in cash at IRWO Corporate Office, New Delhi. Possession of DUs have already been handed over to the allottees of Meerut Group Housing Scheme of IRWO. Now IRWO is in the process of executing Conveyance Deed in favour of the allottees concerned. For execution of Conveyance Deed, allottees may apply in Annexure H-3 of IRWO General Rules along with the processing fee of Rs 1180/- (Including GST)/- payable through Bank Draft in favour of IRWO , New Delhi. Processing fee can also be paid in cash at IRWO's corporate office, New Delhi. On receipt of application in proper form along with the processing fee, IRWO corporate office will issue format for execution of conveyance Deed with the allottee by the IRWO's representative of Meerut Housing Scheme. Notice: It Is Noticed That As On This Day 18.06.2018 �13 Nos Flats� Have Been Registered Inspite Of Many Reminders. The Allottees Are Taking Very Lightly. Recentgly We Have Received Notice From The Sub Registrar � General Of Registration Attaching Copy Of Orders Dated 16.03.2018 By Chief Secretary Of Govt. Of Uttar Pradesh, Stating That As Per Registration Act Of Immovable Properties Of 1908 And The Registration Of The Properties Is Essential Before Occupying The Flats Otherwise It Is Punishable And The Government Take Action By Applying Heavy Penalty On The Allottees As Is Being Done By Noida Uthority. Copy Of The Notice From The Uttar Pradesh Government Is Attached For Information Of The Allottees Who Have Not Got Done The Registration Of Their Flats. If The Owner Of The Flat Is Not Residing In The Flat, The Tenants Are Requested To Intimate The Owner Of The Flat About This Notice. All The Allottees Who Have Not Got Their Flats Registeree Are Requested To Get Their Flats Registered Immediately. Irwo Shall Not Be Responsible For Any Action Taken By The Uttar Pradesh Government. (i). Circular By Principal Secretary , UP Govt. (ii).Circular By Registrar office , UP Govt.